Singapore may be one of the world’s smallest countries, but each day it is growing a little bigger thanks to its ingenious method of trash management and disposal. While neighbouring countries are literally awash with ugly, putrid mountains of trash, Singapore is busily turning its trash into treasure with a man-made tourist attraction named Semakau Island. A process that reduces solid waste on the mainland by 90 per cent. When Arab-Israeli blogger Nuseir Yassin visited Semakau Island he found an artificial land mass covering 350 hectares (about 8.6 acres). His video, above, captured a not-often told side of Singapore’s waste management process. Mr Yassin’s video begins with a truck reversing into position on a concrete embankment and emptying its cargo of landfill into the Bund Wall waterways of Singapore ‘trash island’. Or, to be more precise, ‘ash island. Before ending up at Semakau burnable waste is first incinerated at one of Singapore’s four waste-to-energy plants, before being mixed with construction waste and sludge. It is then trucked to Semakau, eight kilometres (five miles) off the coast of Singapore. There it is emptied into waterways surrounded by Bund Walls made of sand. To ensure surrounding areas remain pollution-free bulldozers level off the waste. Each landfill cell is covered in a layer of fertile topsoil, taking on new life as a green landscape with native grass, trees, and flowers. With more than 80 per cent of the ‘trash’ consisting of inorganic matter, the method appears to pose no threat to the animals that inhabit Semakau. Coral reefs and marine life also appears to be thriving and abundant in the water close to shore. Unlike garbage landfills in other countries, Mr Yassin assures there is no stench of rotting trash. Work first began on Singapore’s trash island in 1999 when the city-state closed its five remaining mainland landfill sites. However, even with the reductions achieved through incineration and recycling, Semakau is expected to reach its peak by 2035. There are some signs that Singaporeans are getting better at waste management though. In 2017 Singapore generated an estimated 7.70 million tons of solid waste, down from 7.81 million tons the previous year. Some 4.72 million tons of this was sent for recycling, leaving a little over a third destined for landfill. While the figures provide some hope, the average Singaporean still uses in excess of 13 plastic bags per day. In 2017 this resulted in some 420 tons of plastic bags entering the trash system. Despite this a recent proposal to introduce a charge for single use plastic bags was rejected. According to the National Environment Agency (NEA) single-use plastic accounts for one-fifth of Singapore’s plastic waste, with just 6 per cent of some 815,200 tons recycled last year. While Singapore appears to have found an eco-friendly way to dispose of its solid waste, electronic waste (e-waste) is a greater challenge. 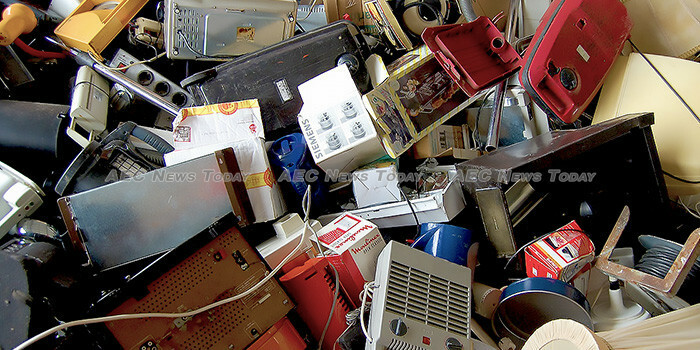 A recent study found the average Singaporean disposes of the equivalent of 73 mobile phones in e-waste per year. 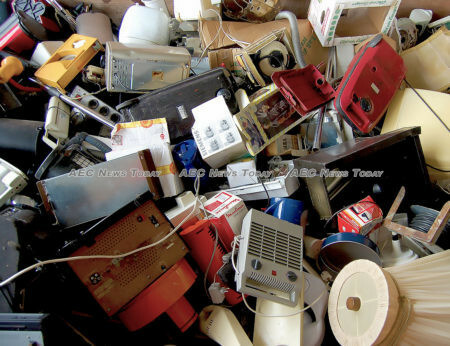 Only some 6 per cent of an estimated 30,000 tons of domestic e-waste is recycled, it found (See: Singapore e-waste recycling programme to set targets on manufacturers). Singapore’s Ministry of Environment and Water Resources (MEWR) aims to improve that figure with a mandatory e-waste recycling programme due to commence by 2021. The new system will cover five main categories of products: information and communications technologies such as mobile phones and computers; solar panels; batteries; lamps and large household appliances like refrigerators, air-conditioners, washing machines and dryers. “Together, these products make up close to 90 per cent of e-waste in Singapore”, said senior minister of state Dr Amy Khor when announcing the scheme earlier this year. In the meantime trash to ash is providing Singaporeans with a clean, green, eco-tourist friendly forest destination to escape the confines of the city-states concrete jungle, at the same time proving one persons trash is another person’s treasure.